Football, A Parade, And Perspective. . . 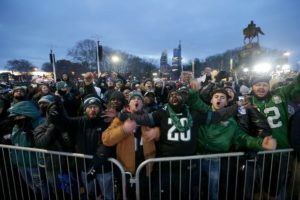 If you are a fan of the Philadelphia Eagles, how did you feel in the days leading up to the Super Bowl? And what have you been thinking in the days since? How would you answer the same questions if you are a fan of the New England Patriots? And if you are a fan of neither, how do you think you’d be answering these questions if your team had played in the big game. . . and either won or lost? The same questions can be asked of championship contests in any sport, at any level. I am a fan of the Philadelphia Eagles. . . long-suffering along with everyone else. Although I won’t be among the millions attending today’s celebration parade (I would be. . . but there was no way in with all the crowds descending on Philly), I am happy that my team has finally won a championship. If I was at the parade, it would be to celebrate the team. But as I watch, listen, and process the varied responses to the Eagles’ win, I have to wonder if something more than a celebration is going on. Let me explain. . . Truth be told, during the two weeks leading up to the Super Bowl. . . or more accurately, for the entire season. . . I was hoping that the Eagles would make it to the game and win it. At times, I sensed myself becoming a little too invested in possible game and season outcomes. “Settle down” and “this has no bearing on eternity” were phrases I would preach to myself. . . along with the rest of the Gospel as it speaks to and re-calibrates priorities. During the game, I had nerves. There’s no denying that. . . right down to the end. But then, something happened that has really gotten me thinking. You see, after a few episodes of jumping up, yelling, and high-fiving family and friends during the last couple of minutes of the game, the game ended. The joy that I had expected to sense wasn’t there. Oh, there was some joy, but it was nowhere near what I had expected it to be after all these years of waiting and hoping. To be honest, it was a bit of a letdown to not be experiencing what I thought I was going to experience. And, in the days since, life goes on. And in ways that everyone else who has ever had a championship has experienced, the roller-coaster of hope bottoms-out and you start hoping, once again, that maybe next year your team will win. It’s all so temporary. Perhaps there’s a lesson to be learned here. 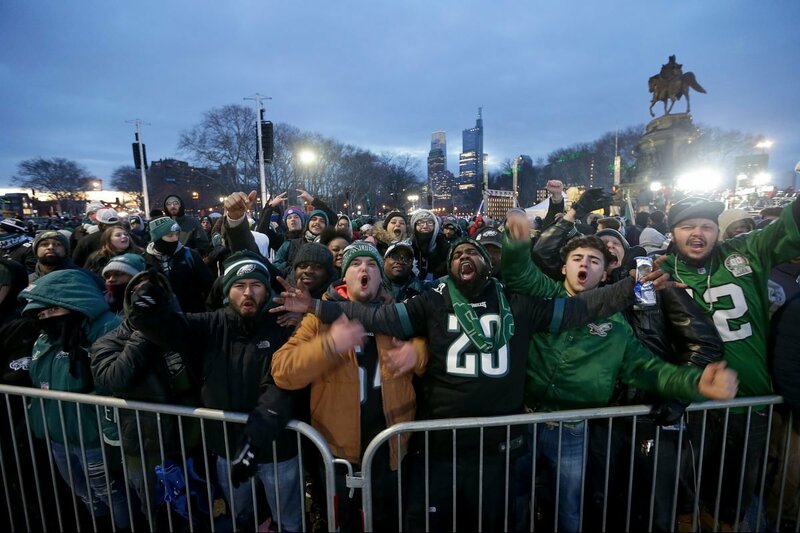 Judging from the excitement of millions of people who are gathering in Philly right now for the big parade, there is, I think, the expectation that this is the end-all-be-all. But tomorrow morning, every one of us will wake up and get back to life with virtually nothing significant changed, even though we all have a wonderful memory. We invite false redeemers into our lives all the time. 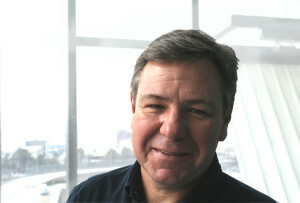 . . expecting and hoping that they will fill that God-shaped vacuum Blaise Paschal spoke of. Of course, nothing fills and nothing redeems except for God himself. So, I thank God for the gift of my Sunday evening temporary joy (that sure was fun to watch!) . . . along with the gift of letdown and the perspective it cements. ← Crazy Love. . . A Valentine’s Preview. . . Seeing the testimonies on you-tube of one after another of the team members expressing their walk with our Lord, seeing team members be baptized, hearing of the Bible studies going on in the locker room, and accountability/sharing times, hearing that they were pulling together instead of working with some strong egos … made this team and this Super Bowl Win exceptional and a good word for the God who lives within many of their hearts. They didn’t have to share God, but they chose to make it heard that He is important.